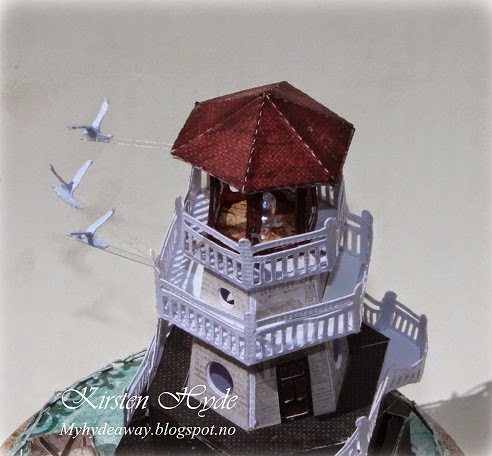 A few weeks ago, friend Gunn-Eirill, challenged me to make her lighthouse. 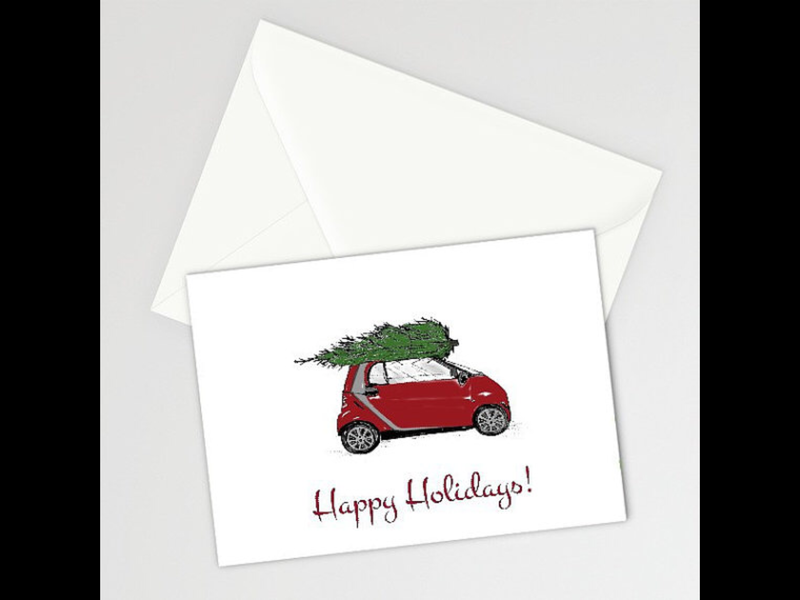 If is not often I make something from a template, a cutting file or after instructions, so this was a challenge. 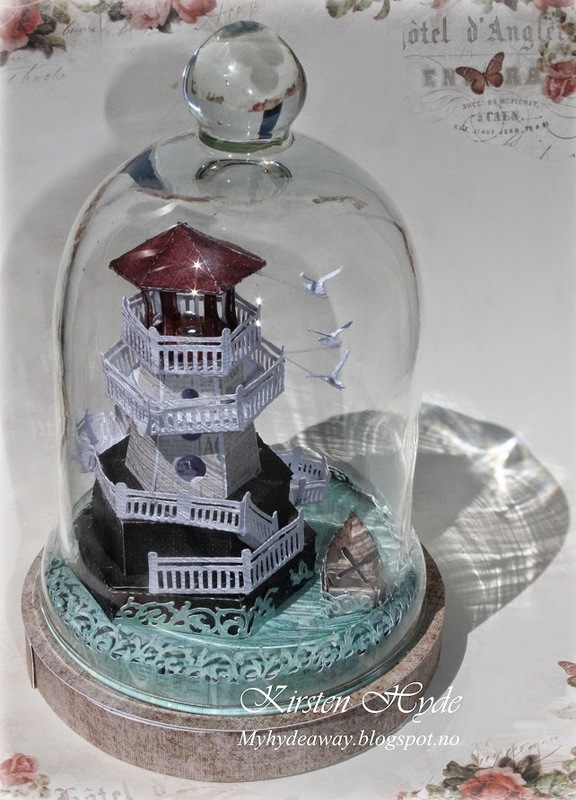 I decided to make the lighthouse as it was, but make it as a miniature under a glass bell, that I got from a jumble sale. I also wanted to add a few things to it - to make my own version. 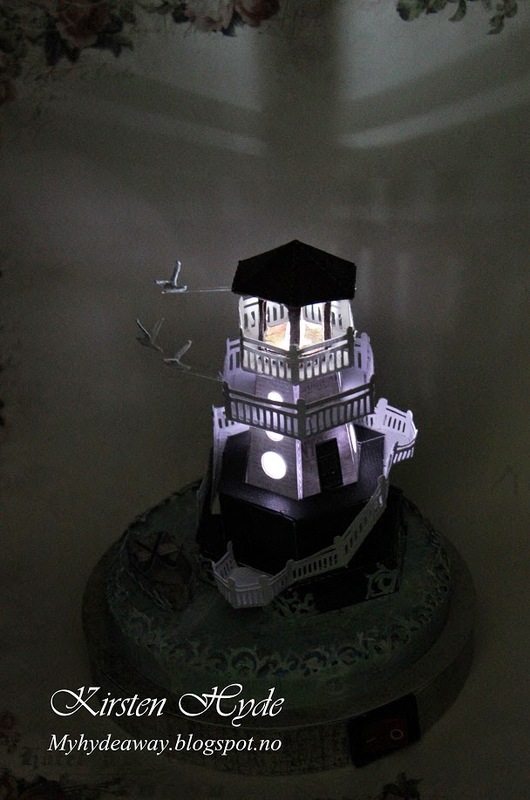 I made the lighthouse 7cm tall (without the base, and the black cliff). 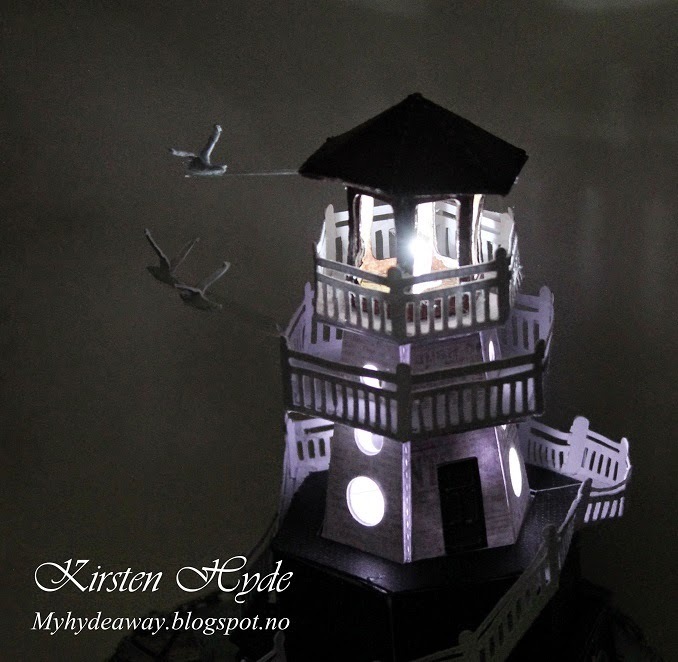 The first thing I did, was to create a modell to se if it was possible to cut Gunn-Eirill's lighthouse as small as 7cm. I have a saying: "Everything can be made" So I was not going to give up. 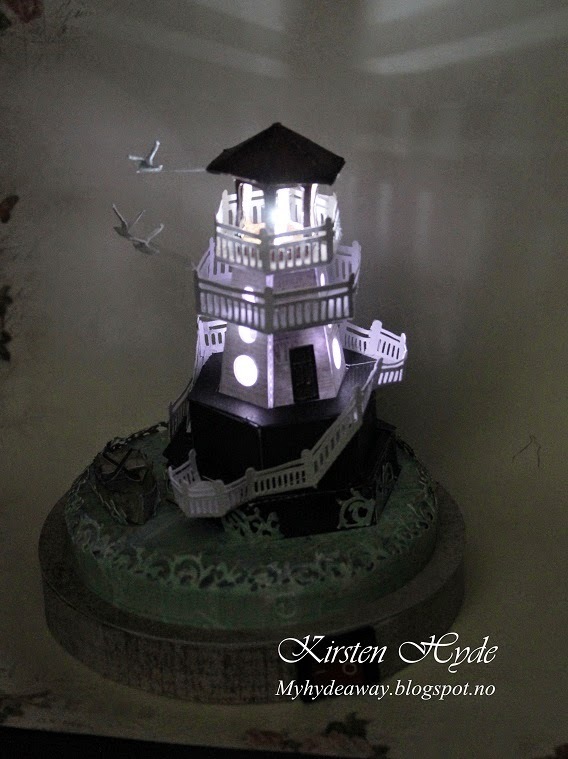 After working with the silhouette file cutting the lighthouse - it was time to test if it was possible to put together. And yes - it was possible. 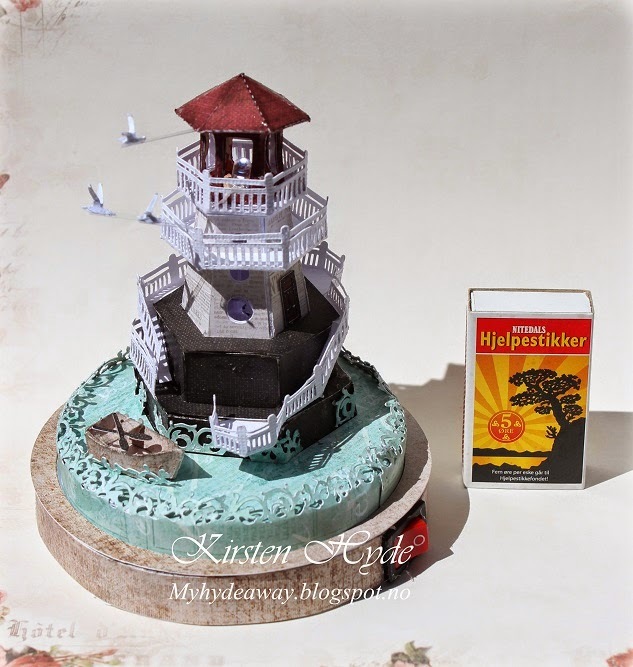 To create something that was my own version - I wanted to make a small sea and a cliff for the lighthouse to stand on. 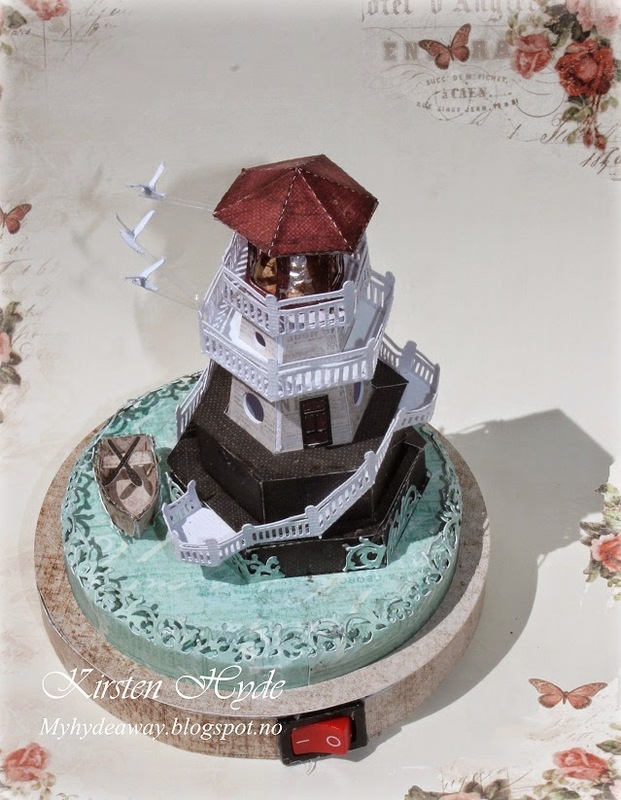 I also wanted to only use Prima papers for the lighthouse and the base. The papers are from different collections from this and last year. 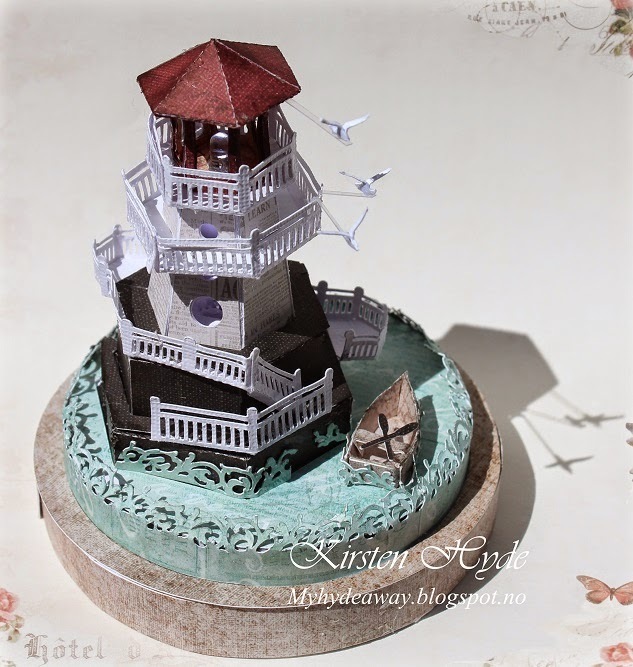 (Seashore collection, Cartographer selection, Stationer's Desk Collection and Something Blue Collection). I only wanted to use paper for the creation - and everything handmade. I also created fences and terraces to go around the lighthouse and the cliff. The waves is my own cutting file - and I have scaled it down as much as possible with the silhouette. To create the Seagulls, I traces a photo of a seagull - edited the wings, and made them 3D. They have been glued to a pice of thin clear strip of acetate to give the impression of flying. 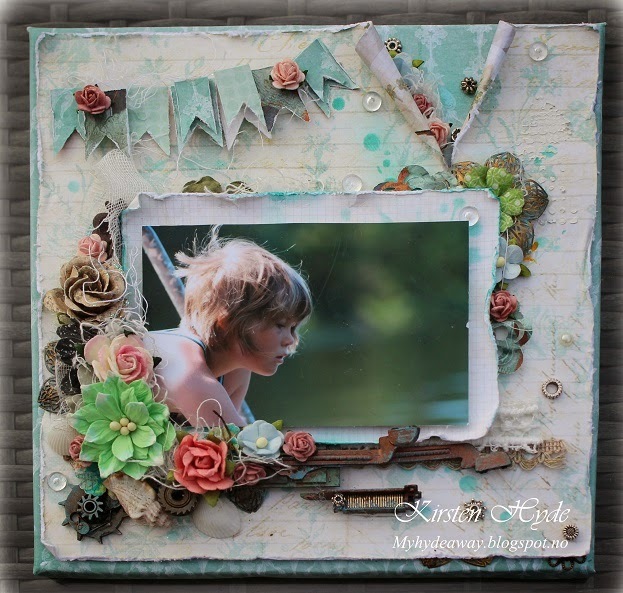 The boat is my own template - and you can find it here. 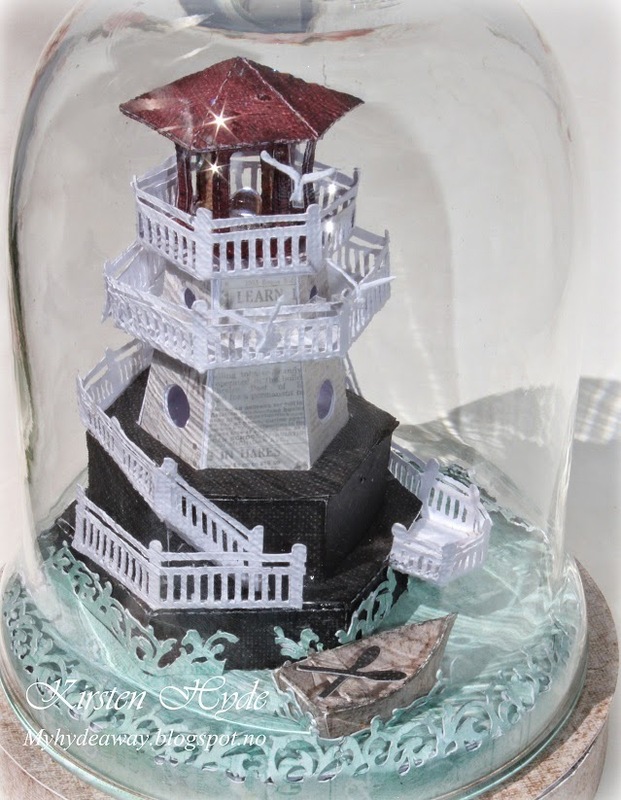 The lighthouse is made to fit inside a bell jar. The bell jar was originally bought at a Jumble sale - and was bought to create something out of. Any lighthouse should have working lights in them. This house is so small, that the only possibility for working lights, was to mount led lights in it. I mounted a switch on the side of the base, to turn the lights on and of. One of the great things with crafting, is that it has given me friends all over the world. Some times these friends give me challenges from time to time. This time, Laurie D Moore challenged me to create something from a Paint Brush. I have seen these paint brushes before - but never thought of alter one - but a challenge is a challenge. I started with the largest paint brush I could find. The handle was blue plastic and really ugly. Paint will not stick to plastic - I have tried that before, and everything peals off. I have found that the best way to decorate plastic is to use decoupage or Modge Podge, and cover it with paper serviettes or with paper. 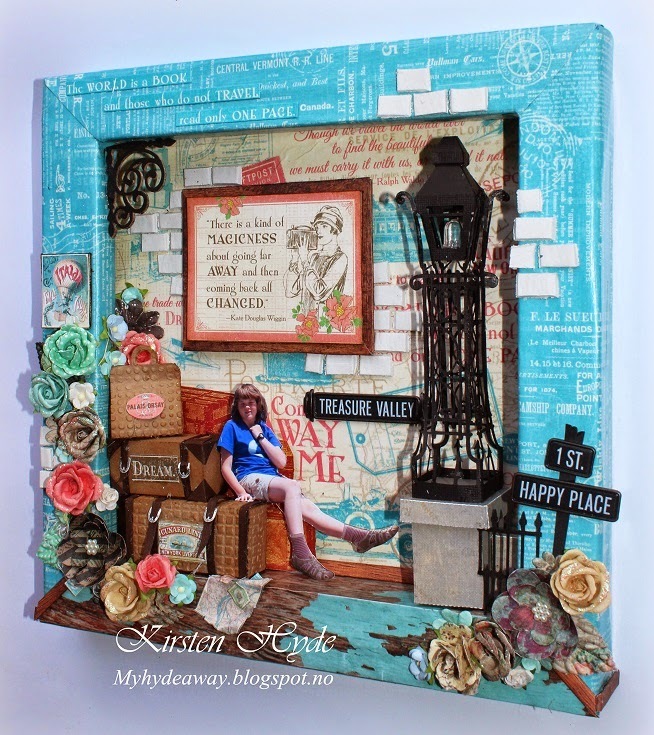 I covered it with papers from Prima and Modge Podge. I then painted with Gesso and sprayed a thin mist of black dylusions spray. I have used different bits from computers, typewriters and gears from an old clock. I also sacrificed one of my old paintbrushes. The metal has been coloured with different paints and stains. 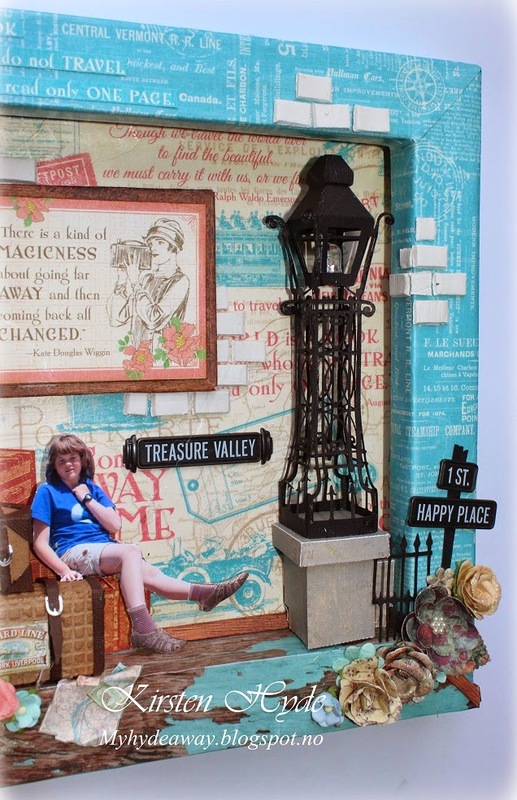 Do pop over to Lauries D Moore's Challenge to follow the work shown there. 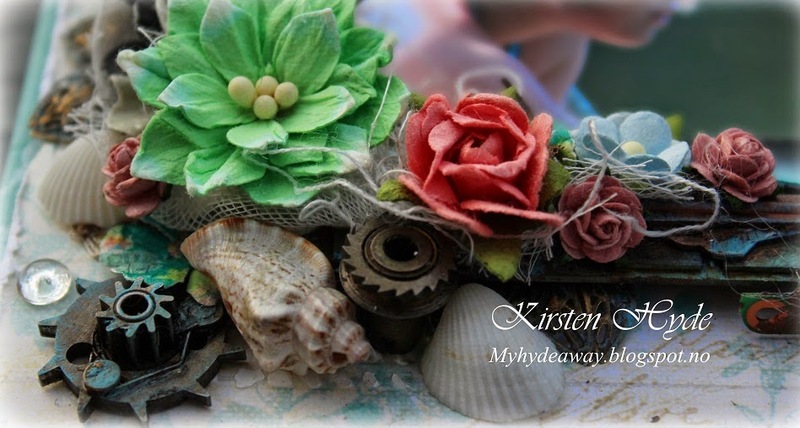 Great challenge - that also challenge you to use some of your old unused crafting stuff. 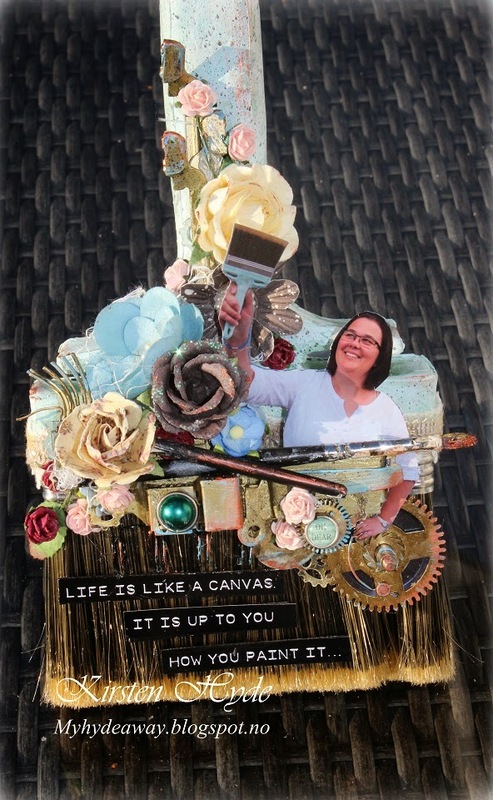 This canvas is a for a class I am going to give on Mixed Media. 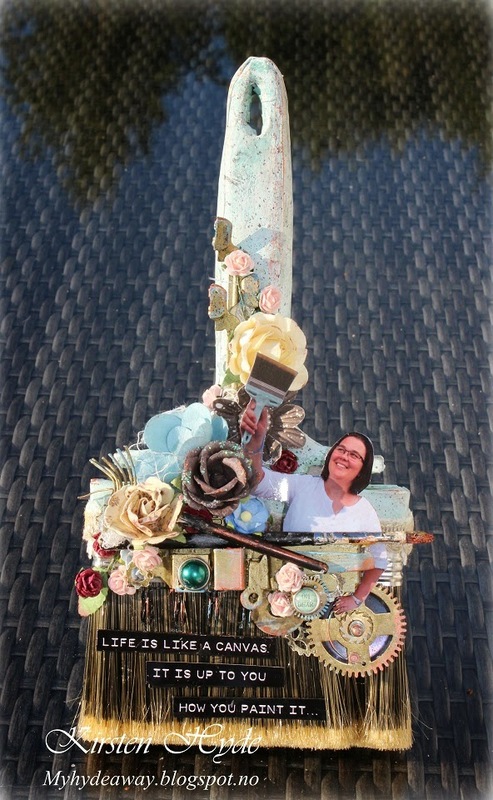 Mixed Media is defined as art, where you use more than one traditional media, for instance more than just paper. In scrapping, one often use paper, metal, flowers, string and materials like cheesecloth or lace. This Mixed Media canvas is 20cm x 20cm. 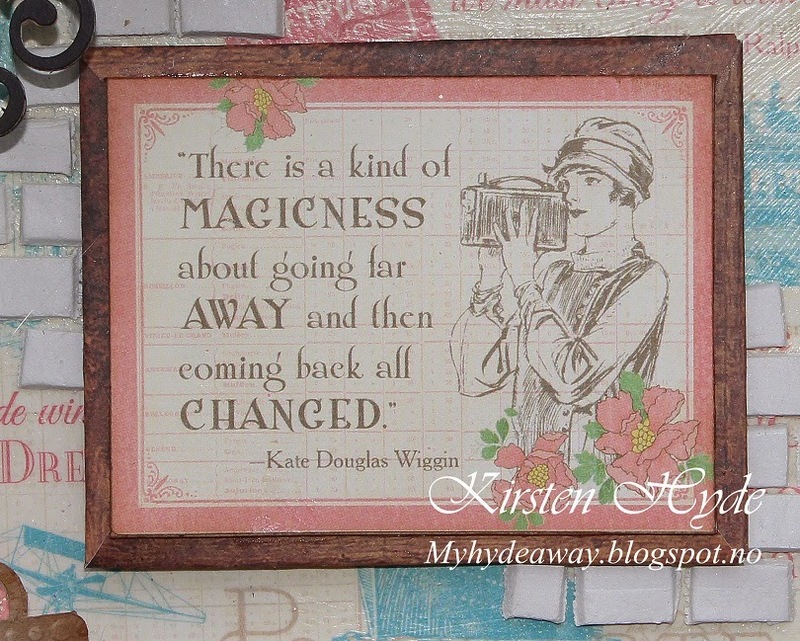 I have used papers from Prima and Bo Bunny (Somewhere in time collection) and Prima - Delight -Delicate. Flowers are mostly from from Prima. 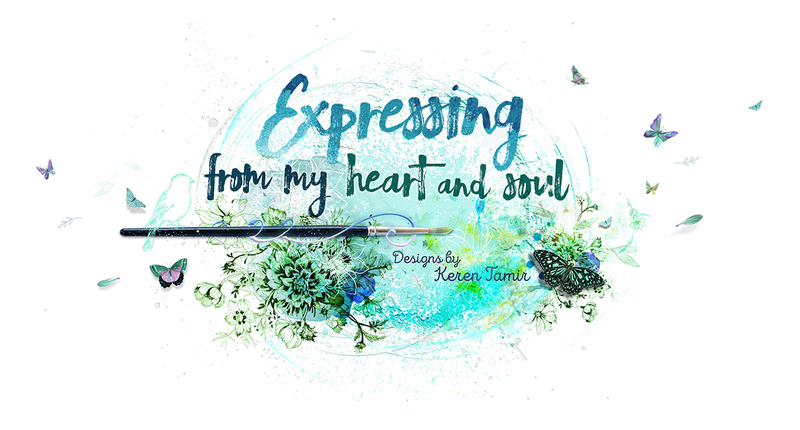 During the class, we will also work with distressing, stencils, different paints and stains, gesso, how to create more 3D effects on your work. 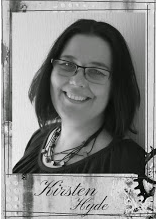 We will also go through ideas of what "free bits and bobs" you can use for your mixed media work. 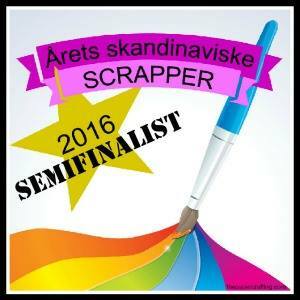 This class will be in Kjøpsvik in August. 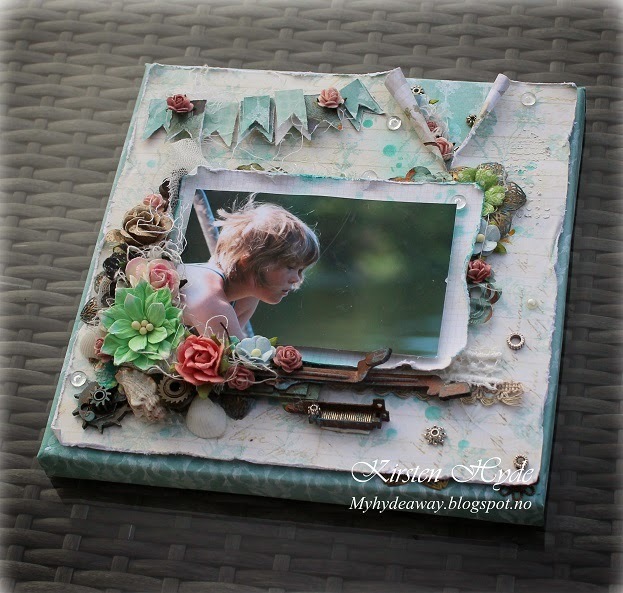 This was a Design Team challenge from Hobbykunst. 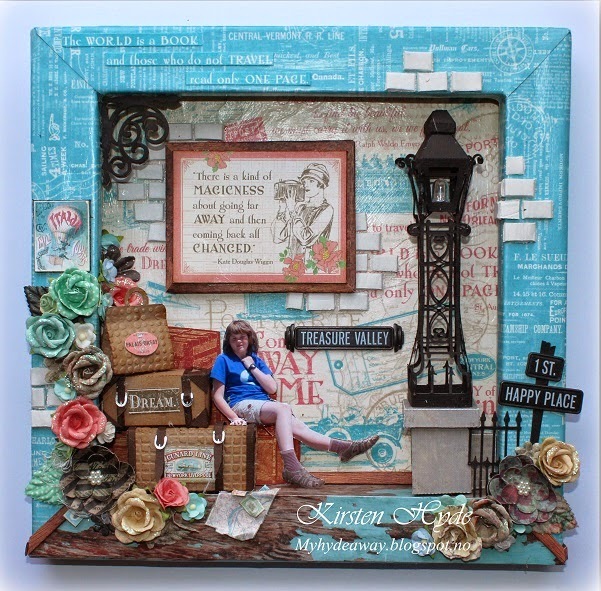 They have just got the new Graphic 45 collection - Come Away with me in the shop, and wanted something made out of the papers and a 30cm x 30cm canvas. I wanted to use the canvas inside out. I covered the back of the canvas with paper from the "Come away with me" collection, and also covered the wooden frame. 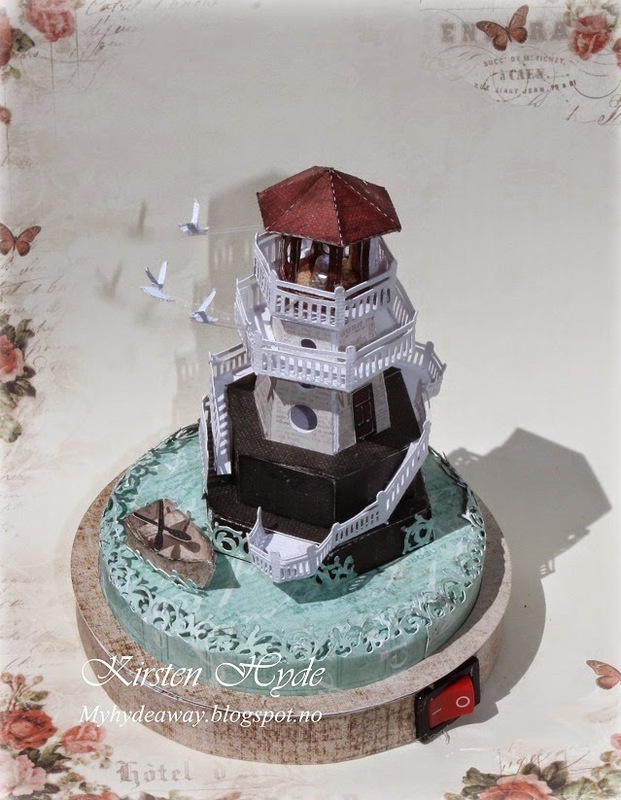 The "wooden" floor is a paper from Kaisercraft - Distressed base coat. The bricks are made from DAS clay, rolled out and cut into the size I wanted. The street signs are from Prima. 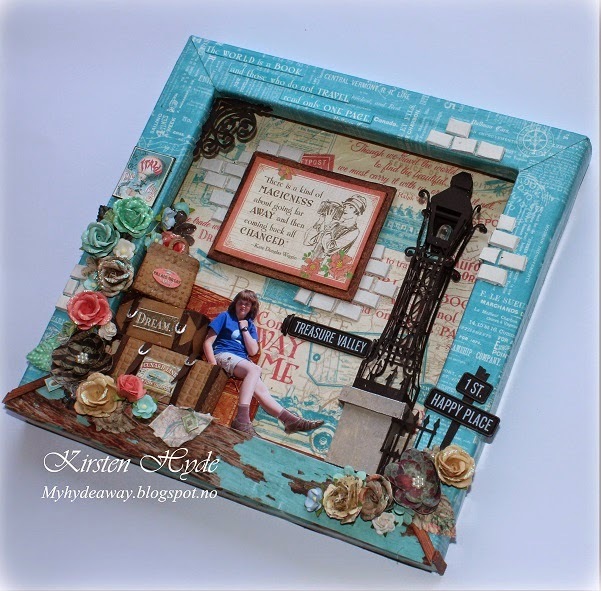 The suitcases are made from Kraft cardstock, embossed and distressed. The labels are die cuts from the Graphic 45 collection. Flowers are mainly from Prima. The lamp post is my own silhouette design. This is based on a lamp seen in Bath in Sumerset in the UK. The fence is also my own silhouette design, based on a fence seen in Brighton in the UK. The picture in the background is from the Graphic 45 collection. 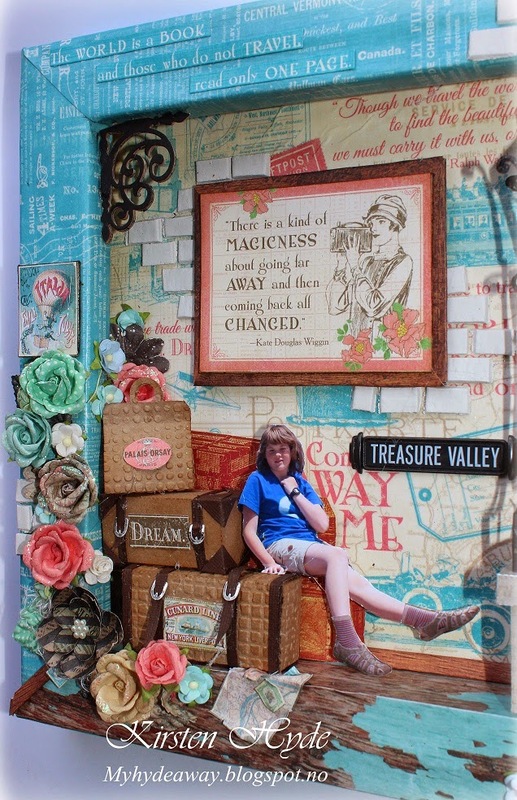 The picture has been rased from the background to create a 3D effect. And there was the canvas. A nice summer memory.